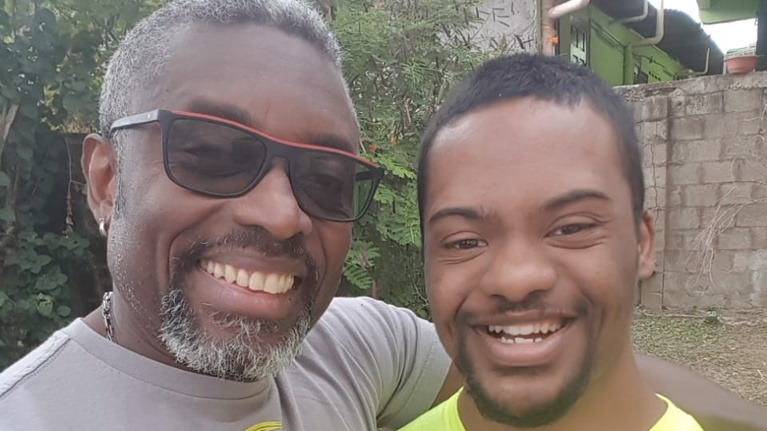 Glen Niles, founder of the Down Syndrome Family Network with his son Tyrese. When it comes to advocating for inclusion for people with Down Syndrome, Glen Niles is fuelled by his personal experience. A Trinidadian father of a 20-year-old son with Down Syndrome. Niles still looks on with awe as he witnesses his son’s development. “Tyrese has more of a social life than me,” Niles told Loop with a laugh as he lists the parties and river limes his son attends. “You think that you will get accustomed but I could never get accustomed from knowing when he was born and he has Down Syndrome and thinking he won’t be able to do anything and seeing him do all this my jaw drops open,” said Niles. In addition to doing all the social things anyone his age is expected to, Tyrese also had a job. He is employed at Aeropost where he started off an intern and now works as a warehouse attendant. “They send a code to the warehouse, the alarm sounds and the code pops up in the machine. They will take the code and get the package and take it to the customer. Once I went to the warehouse and stood in the Operations Manager’s office where he couldn't see me and I watched Tyrese take this card and go and retrieve the package, I thought the card had specific details like aisle eight, row seven but when I went down to talk to him and I asked to see the chit, there was only a barcode and I am like how? He learned his job and the more opportunities he was given he learned that role,” said Niles. Founder of the Down Syndrome Family Network (DSFN), Niles said though from birth he treated Tyrese as a normal child, imparting lessons he learned from his own childhood, it was the Down Syndrome conferences he attended abroad that really opened his eyes to the Tyrese’s potential to function as normally as possible. “The first time I went to one of those conferences, it was mind-blowing for me. That was the catalyst. In Trinidad, it is almost a hopeless situation because I didn’t know anyone with Down Syndrome who was doing anything. When I attended the conference in Boston and saw people with Down Syndrome and heard them talking and laughing with each other and dressed in trendy clothes and they were just like everyone else, going to restaurants and bars, drinking alcohol, having wines with meal, they weren’t being treated any differently, nobody was staring at them or anything,” he recalled. Niles said the highlight of that conference was the featured speaker, a young man with Down Syndrome who was described as a self-advocate. “I am looking at the screen and I am saying he looks like has Down Syndrome and I was like nah, nobody with Down Syndrome could be speaking at this level. But he spoke about his life and experiences coming out of school, working, living on his own. I am looking at Tyrese and saying wait, all the things I thought Tyrese couldn’t do, he is doing it. So when I came back, I started telling everyone I met about it, that they could do anything and everything all we have to do is give them the chance. Opportunities reveal potential,” he said. Niles said since DSFN started about seven years ago, he has seen many people’s attitudes changes towards their children with Down Syndrome. More parents are proud to post their children’s pictures on social media and take them out in public. 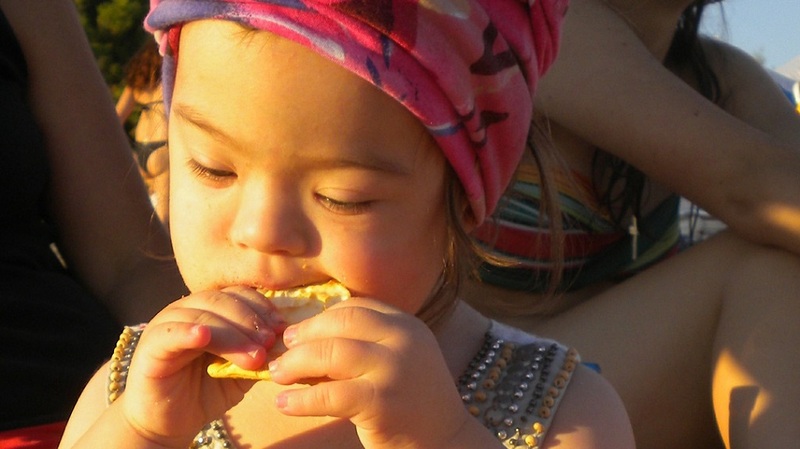 More employers are also willing to hire people with Down Syndrome. He said apart from Tyrese, they have had one person who was hired by the Office of the Prime Minister Gender Affairs Division and another hired by Digicel IMAX. Niles made it clear that none of these hires were a case of charity. “We are working harder with the parents because organisations are approaching us but this is not a charity, the self-advocate has to function in the environment and they have to work. Most of the responsibility falls on parents,” he said. Reflecting on Tyrese’s job, Niles said he was initially very apprehensive when his son was selected for the internship. He said more educational opportunities are needed for children with Down Syndrome but made it clear that they don’t need segregation but inclusion. “We advocate for inclusion so no segregated school, the only thing required is patience. Down Syndrome is a cognitive disability so it is not that they can’t learn, they will take longer but it needs repetition,” he advised. Niles said despite the gains there is still no law regarding persons with disabilities and there are no homes for adults with Down Syndrome who were never given the opportunities to develop. “Now we are not reaping the rewards of seeds not sown. Parents who were not aware that they should empower their child with Down Syndrome so the child could not do anything and now they are adults now who can’t function are burdens to their siblings because their parents are dying. It is additional stress and we don’t have facilities for them. Some of them are being placed in homes for the elderly so people are contacting us to find out how they can lobby for facilities for adults with Down Syndrome." “This is one of the reasons I advocate hard for Tyrese because I know I wouldn’t be here for the rest of his life and I don’t want him to be a burden to anyone," he said. 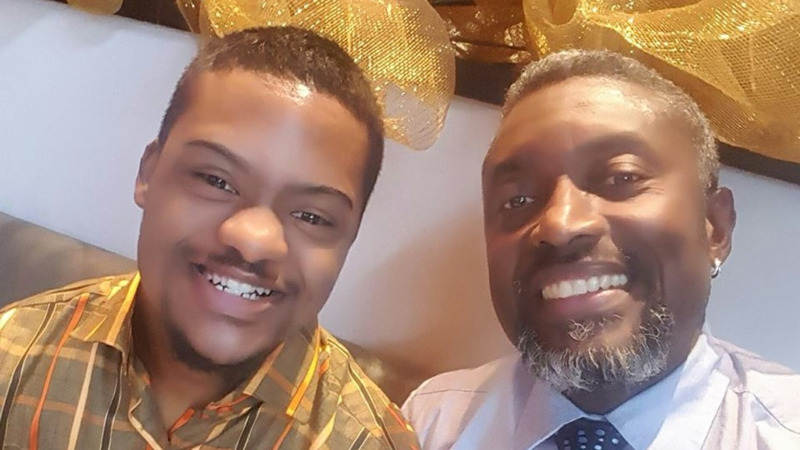 The DSFN UN World Down Syndrome Day Conference will be held on March 22 at the Hyatt, Regency Trinidad and March 25 at the Magdalena Grand in Tobago.